Ooh, it’s been a little while since I’ve done a Library Loot post. I recently placed a bunch of holds and they’ve started coming in, so I’ll share what I picked up today. Library Loot is a weekly meme hosted by Claire of The Captive Reader and Marg of Reading Adventures. Readers share what library books they have picked up recently. Marg is hosting this week. – I was just flipping through the title pages to see the copyright for this book (it’s 2009) and noticed Nicholls is also the author of Starter for Ten. I haven’t read Starter for Ten but I saw the adaptation. Interesting story, okay movie, but James McAvoy was brilliant in it. Anyway, One Day has an irresistible premise – the arc of a relationship is shown by capturing one day a year in two people’s lives, over the course of twenty years. The day is July 15th, so I feel that I ought to somehow align my reading so that I’m reading it on that day. Summer is usually the best season for me to read thrillers. This is a medical suspense novel and the author has a background in the medical field, so I expect well-informed and probably grisly-detailed crime scenes. This was recommended by Eva of A Striped Armchair. I don’t read too many translated novels, so this will be a cool foray. This compendium contains Claudine at School, Claudine in Paris, Claudine Married and Claudine and Annie. I suppose if I don’t like Claudine at School, I might not continue with the rest, but I think that I will enjoy them, because I like books with vividly drawn characters at the center. This recommendation came via Kim of Sophisticated Dorkiness. 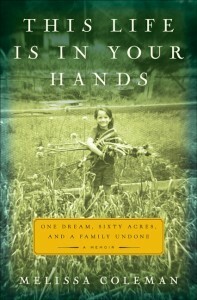 It’s a memoir of Coleman’s childhood: her parents idealistically set out to homestead in rural Maine, but the difficulties of living off the land strain the family, and tragedy strikes when Melissa’s little sister Heidi drowns at age three. I’m picturing the parents as being somewhat like Jeannette Walls’ parents in her memoir, The Glass Castle. I loved The Glass Castle and the resilience of Jeannette and her siblings. So for that surface similarity and because I grew up in Maine, I picked up this book. I haven’t read L’Engle’s novels since I was in junior high (and strangely the novel that sticks in my head the most is her lesser-known Arm of the Starfish.) 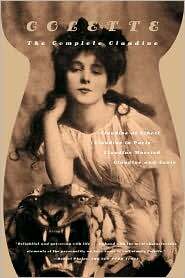 I encountered her again in college when an essay and several choice quotes from her non-fiction works ended up in an anthology called The Christian Imagination, edited by Leland Ryken. Her writing seems wise and gracious and I’ve heard good things about the Crosswick Journal books. Whew! I’ve actually been back from San Francisco for a week. 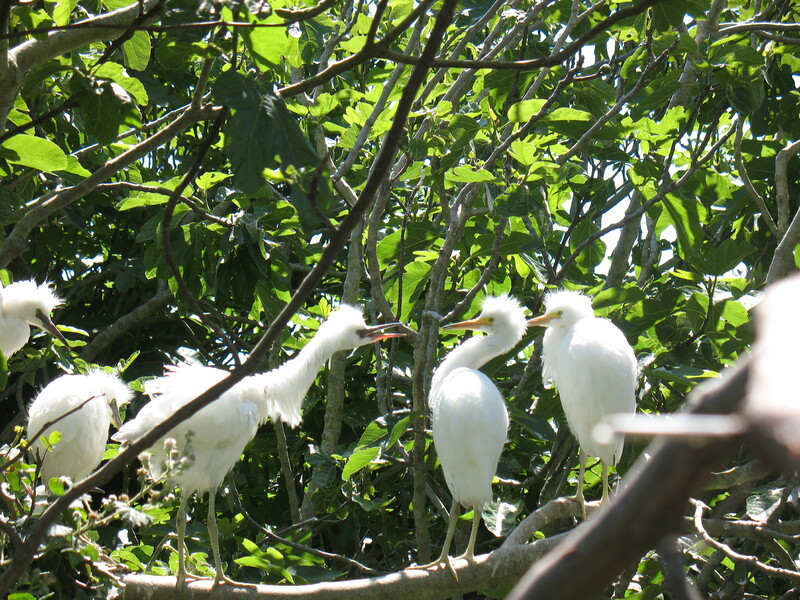 Instead of updating my blog when I was on the internet, I was posting vacation photos on Facebook when I was on the internet and clearing out my Google Reader. And then when it came to writing a new post, I really wanted to publish that review post on The Unlikely Disciple first, and that was not a review I wanted to tackle on a weeknight. Anyway, San Francisco was awesome! The days were full, we ate very well, and there was a lot of walking. 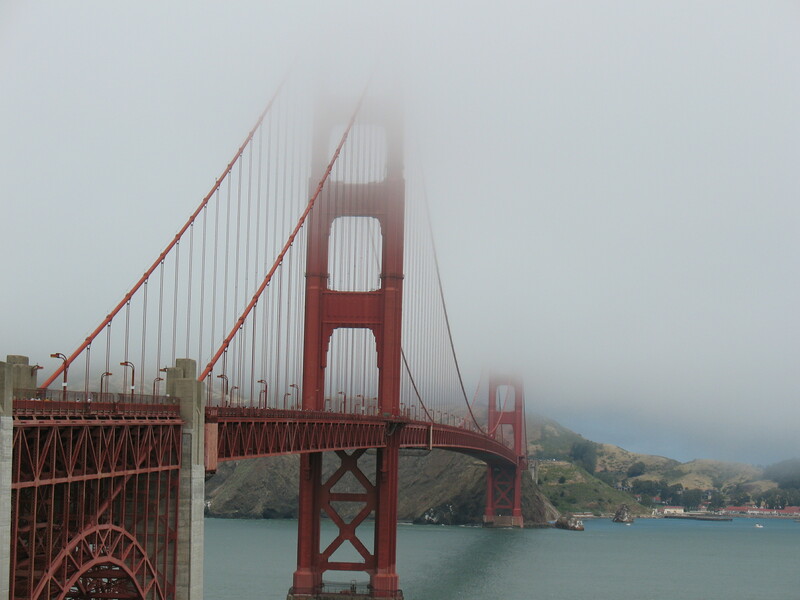 We biked across the Golden Gate bridge and due to this, I got a souvenir sunburn on my wrists and the back of my hands (I was wearing long-sleeves.) 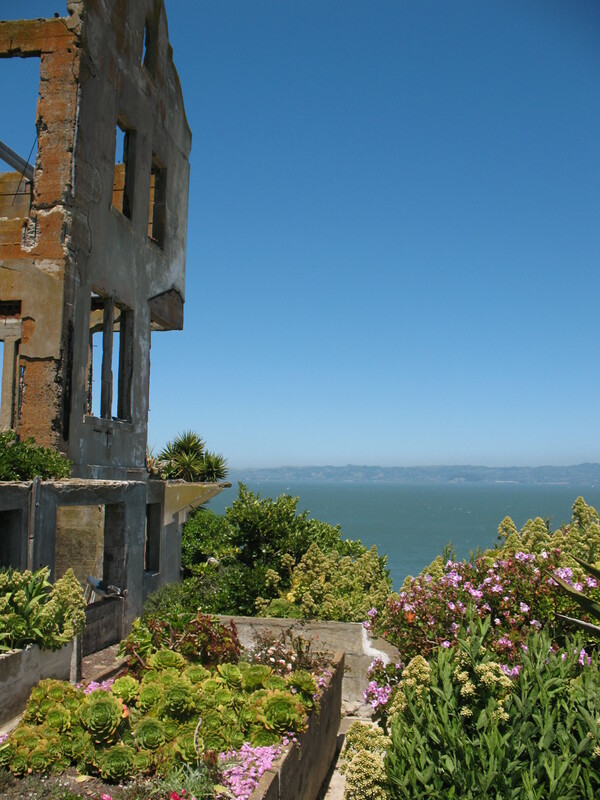 We did a ferry tour of Angel Island and Alcatraz – a definite highlight of the trip. 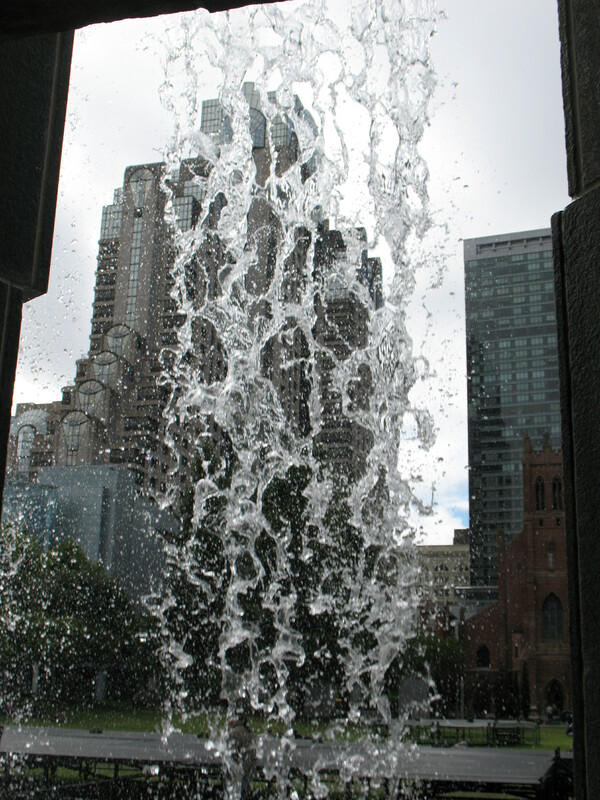 We also went to the California Academy of Sciences and the DeYoung Museum, among other sights in Golden Gate Park. We saw a lot of the different neighborhoods (we stayed in the Marina neighborhood, near the Presidio.) The last two days of vacation, we went to Napa Valley and visited some wineries. 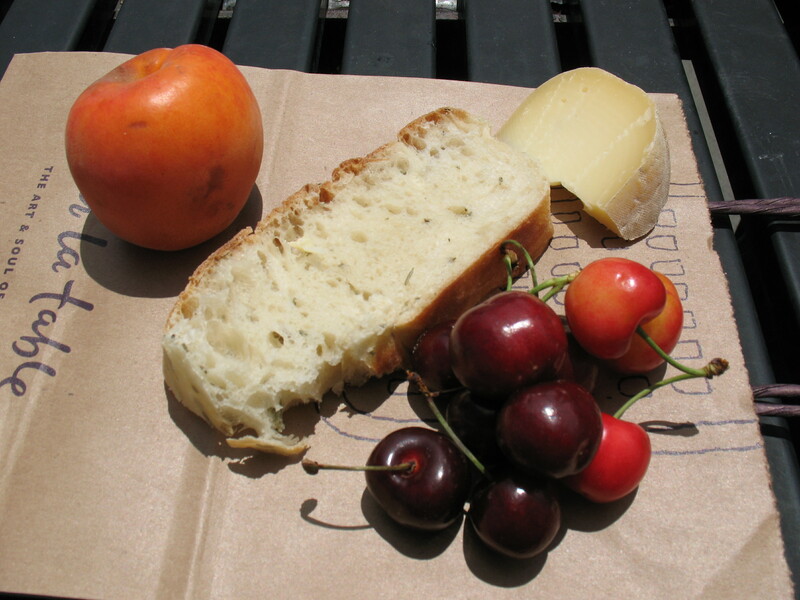 Lunch courtesy of the Saturday Farmer's Market at the Ferry Building. 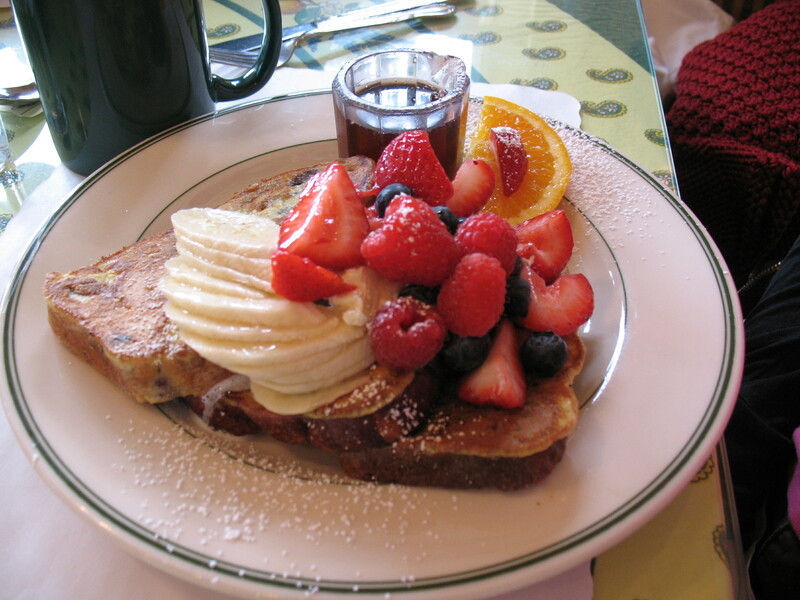 Breakfast at Mama's on Washington Square. 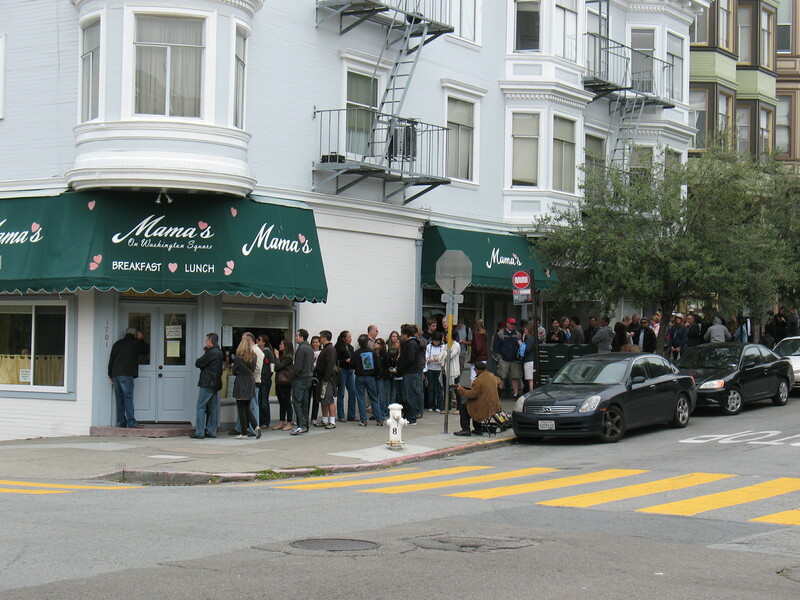 The line for Sunday breakfast at Mama's on Washington Square. 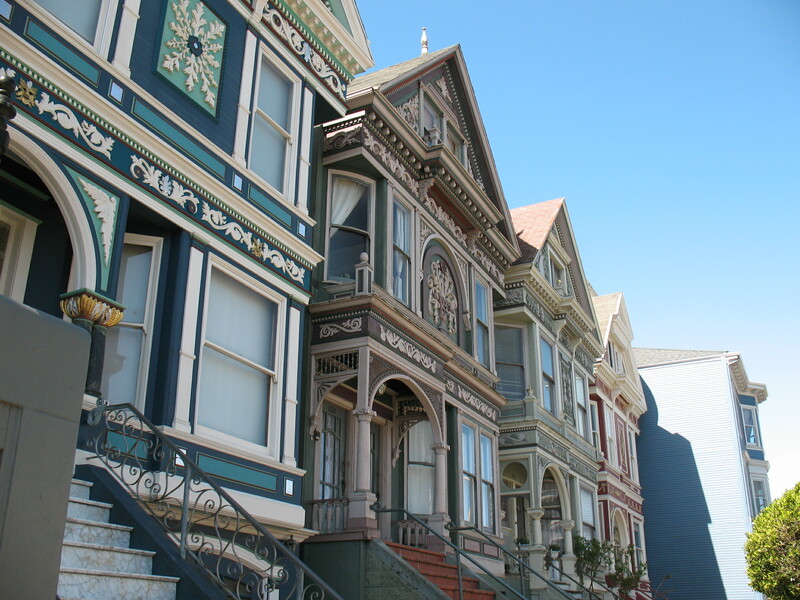 Some lovely houses in Lower Haight. 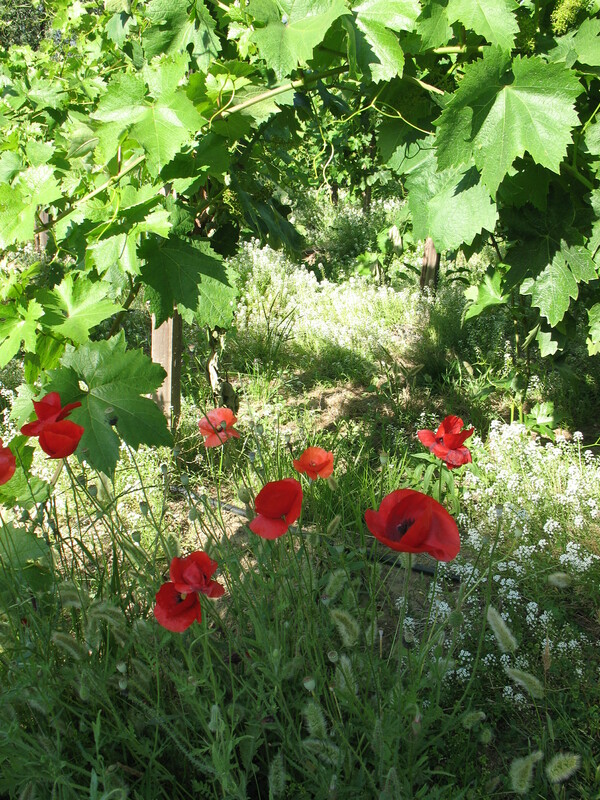 Poppies and grape vines in Napa Valley. 2009. Grand Central. Hardcover. 324 pages. It was actually during the job interview process for my current position that this book was first recommended to me, because the person noticed I had gone to a Christian college. 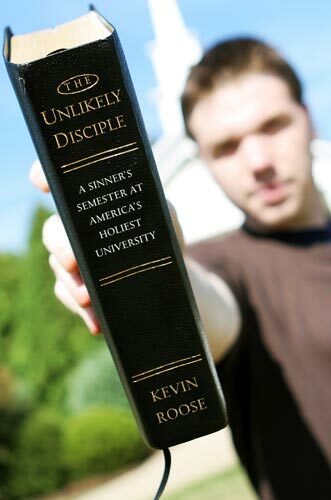 In early 2007, Brown University student Kevin Roose spent a semester ‘undercover’ at Liberty University, the Christian institution founded by ultra-conservative preacher and political commentator, Jerry Falwell. Observing the polarized nature of current American society, Roose wanted to cross a cultural divide and see what conservative Christians were really like, up close and personal. Drawing from the notes he took during that semester, this non-fiction account unfolds more or less from the perspective of Kevin as he was living the experience. When Roose jumps into Liberty University life, he goes all in. It’s really quite impressive. On top of the regular Bible & theology required courses, he attends the Falwell-founded Thomas Road Baptist Church, goes on a spring break mission trip, and even scores an interview with Jerry Falwell himself. As a former pastor’s kid and Christian college alumna, I loved seeing Christian culture through the eyes of someone from the outside. For instance, it was funny when Roose thought he needed to use “Golly” and other twee substitutes for swearing, and all the students looked at him like he was nuts. All the praise songs Roose copied out, the little mnenomic devices for memorizing books of the Bible – it was exciting and fresh-feeling to see it through the eyes of someone for whom these things are foreign. This is especially true because Roose comes into the experience with an open mind. He has preconceptions about Christians, sure, but he’s willing to have his mind changed. The book is a page-turner, mostly because of the built-in tension of Roose being undercover. There are several times where he almost gets caught out by other students. Other tensions arise: Roose develops a crush on a Christian girl; he comes into conflict with his homophobic, aggressive roommate; his family, including his lesbian aunts are concerned he will be brainwashed. Roose writes also about his struggle to humanize everyone without making excuses for the championing of narrow-minded viewpoints. One thing Roose comes back to a number of times is how surprisingly ‘normal’ the students are, and how they struggle to connect faith to real life. The trick to being a rebel at Liberty, I’ve learned, is knowing which parts of the Liberty social code are non-negotiable. For example, Joey and his friends listen to vulgarity-filled secular hip-hop, but you’ll never catch them defending homosexuality . . . And although they might harass the naive pastors’ kids on the hall by stealing their towels from the shower stalls – leaving them naked, wet, and stranded – they’d be the first people to tell you why Mormonism is a false religion. In other words, Liberty’s true social code, the one they don’t put in a forty-six-page manual, has everything to do with being a social and religious conservative and not a whole lot to do with acting in any traditionally virtuous way. In context, this passage was not written judgmentally at all. But I felt that it touched on a core problem I have with Christianity as its usually practiced by conservatives in the faith. Christian culture has emphasized the defense of one’s faith so much that learning how to live faith in a thoughtful and considered manner can sometimes take a backseat. – Absolute truth exists. At Liberty, unlike many secular schools, professors teach with the view that there is one right answer to every question, that those right answers are found plainly in the Bible, and that their job is to transfer those right answers from their lecture notes to our minds. Let me just go on a personal tangent here: I am in such gratitude that my alma mater did not take this teaching approach at all. The majority of professors encouraged us to question the assumptions in our worldviews, voice doubts, and consider different interpretations. My college’s main themes in chapels and campus-wide events tended toward subjects like social justice and celebrating diversity, environmental stewardship and service-learning. I’m not saying there weren’t and aren’t things to criticize about my alma mater, but by and large I am happy with the education I received there. Indeed, it is the church pulpit, and not my Christian college, where I have frequently encountered teaching philosophies and priorities similar to that described by Roose in this book. The Unlikely Disciple is certainly one of my favorite reads of the year so far. It is a lovely picture of someone trying to find common ground and understanding with the ‘other side.’ It’s also an intriguing look at a culture whose members are frequently dismissed out of hand. I was reading The Unlikely Disciple while on a trip to Vermont back in May. My uncle, whose son (my cousin) went to Liberty, picked it up while I was busy doing something else and we had a bit of steal-the-book-back game going on. So yeah, if this subject interests you, I highly recommend you pick it up. 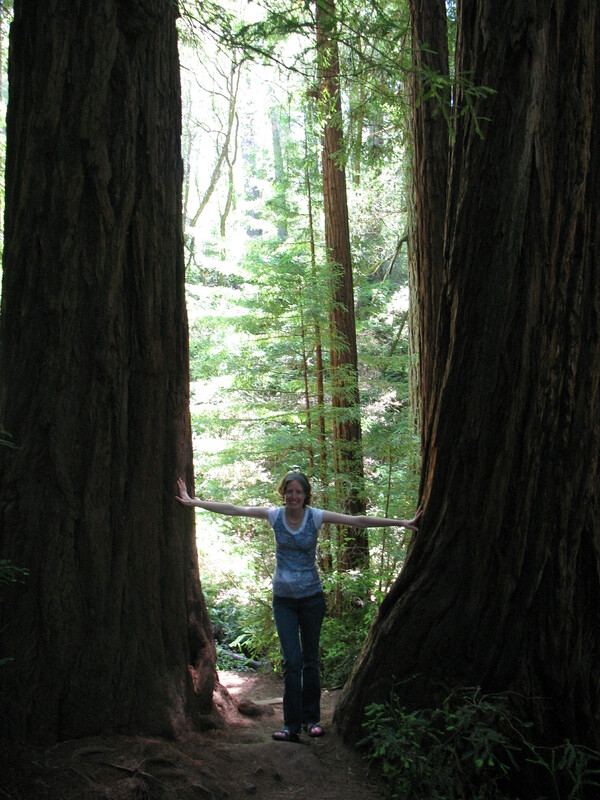 Thanks to all those who gave advice on visiting San Francisco – I leave tomorrow! I’ve taken notes, and I’m raring to go, especially considering D.C.’s current unbearable heat and humidity. I’m meeting my two friends at the hotel, as we’re all flying out a different times and from different airports. Basic vacation plans involve exploring the neighborhoods, going to Alcatraz & Angel Island, biking across the Golden Gate Bridge, and visiting various museums. This will be followed by two days in wine country, and then an overnight flight back home. Cold Comfort Farm by Stella Gibbons – always good to tuck in a classic, a humorous classic too. The New York Regional Mormon Singles Halloween Dance: A Memoir by Elna Baker – great title, isn’t it? I had forgotten that I’d requested it via interlibrary loan a while ago and it just came in yesterday. Evolving in Monkey Town: How a Girl Who Knew All the Answers Learned to Ask the Questions by Rachel Held Evans – Evans’ post “How Not to Win the Best Christian Attitude” got me started on reading her blog, but I knew I really wanted to get around to reading her book, so here’s my chance. The title refers to Evans’ hometown of Dayton, Tennessee, which is where the Scopes Monkey Trial was held. 2010. Bantam. Hardcover. 269 pages. I picked this book up a few weeks ago to bring with me on a quick trip to Georgia. The two main characters are Julia and Emily. Julia returned reluctantly to the small town of Mullaby after her father died. 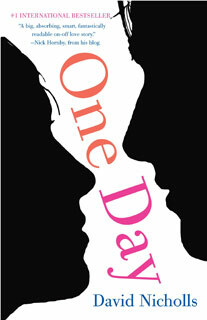 She plans to leave after she’s settled her father’s financial debts. Meanwhile, she runs her father’s main-street BBQ and adds baked cakes to its offerings. Emily comes to Mullaby as a result of parental death as well. Her mother left Mullaby due to scandal, and Emily must face the stigma of her mother’s reputation while trying to make a home with her maternal grandfather, a reclusive giant. The Girl Who Chased the Moon is a blend of romance, light supernatural mystery, and ode to small towns. I get bored by sentimentality, and so I was glad that Allen tempered the sweet with humor. The “Mullaby lights” mystery that Emily explores is kind of silly, and had unfortunate shades of Twilight for me. Still, I can see why this book and the author inspire so much affection. I’m sure I’ll pick up another book of hers in the future. I’ll add that The Girl Who Chased the Moon is definitely suited for a nice summer vacation read. 1978. Harper & Row. Paperback. 371 pages. Tales of the City starts with a quote from Oscar Wilde: “It’s an odd thing, but anyone who disappears is said to be seen in San Francisco.” As I’m going to San Francisco soon (the end of this week! ), I wanted to read some San Francisco books. Tales of the City is the first of a series that follows an increasingly interconnected group of characters, a central group of whom live as tenants in a building on Barbary Lane. There’s fresh-from-Midwest Mary Ann Singleton, unsure if she belongs in this city that she impulsively moved to. There’s Michael Tolliver, whose break-up with his boyfriend leaves him rooming with his close friend, Mona. And there’s the mysterious pot-growing landlady, Anna Madrigal. Tales of the City started out as a serial publication in a newspaper, and this is reflected by the episodic nature of the chapters. It’s a very quick read and the dialogue is lively. Tales of the City is thoroughly a 1970’s novel, full of references to brands and terms that sometimes passed over my 28-year-old head, though I could figure out some from context. While I didn’t love this book, I’m curious to read more of the series. While Tales of the City doesn’t exactly end on a cliff-hanger, there is definitely some unfinished business. Also, I think it would be intriguing to see what Maupin does with the characters as time progresses. For indeed, 1976 is a snapshot of pre-AIDS San Francisco, which lends a retrospective sad sheen over the stories. 1965. Sourcebooks. Paperback. 437 pages. Heyer can definitely be wonderfully comic – I especially like the story of Mr. Trevor’s ordeal near the end of the book. However, after a while, aspects of the writing began to grate. If someone were to make a drinking game out of Frederica, I would suggest a drink for every time that Frederica suppresses a chuckle, or her eyes twinkle/dance/sparkle, or in general slyly expresses mirth of any kind. I guess I just think that the dialogue should not be slathered on with these kinds of descriptors, especially not in so repetitious a manner. Also to my horror, Heyer made Frederica “gurgle” in mirth not once but twice. Only babies should gurgle in earnest; all others should only gurgle if the author is making fun of them. The book depreciates more in my mind the more I think about it. There’s just something so artificial-feeling about the characters and the story. Not sure if I’ll pick up another one by Heyer, as Frederica seems to be the top-running favorite among Heyer fans. 2010. Ballantine. Hardcover. 766 pages. In the hopes of creating immortal warriors, the U.S. military deliberately and experimentally infects twelve death-row inmates with a virus. Of course, this plan goes disastrously wrong when the inmates turn into quasi-telepathic, super-human monster. These twelve escape and kill almost everyone they encounter, except a selected few who they ‘turn’ to be like themselves. The first one hundred pages of the book mainly follows the experiment in its last stages, as a FBI agent rounds up the last subject for experimentation, a little girl named Amy. The rest of the book takes place around ninety years later, with the country – if not the world – wasted by the infected. A small colony of humans hang precariously onto survival in California. When Amy shows up at their gate, her arrival sets off a chain of events that will lead to an epic journey for a small, tough group of these colonists. 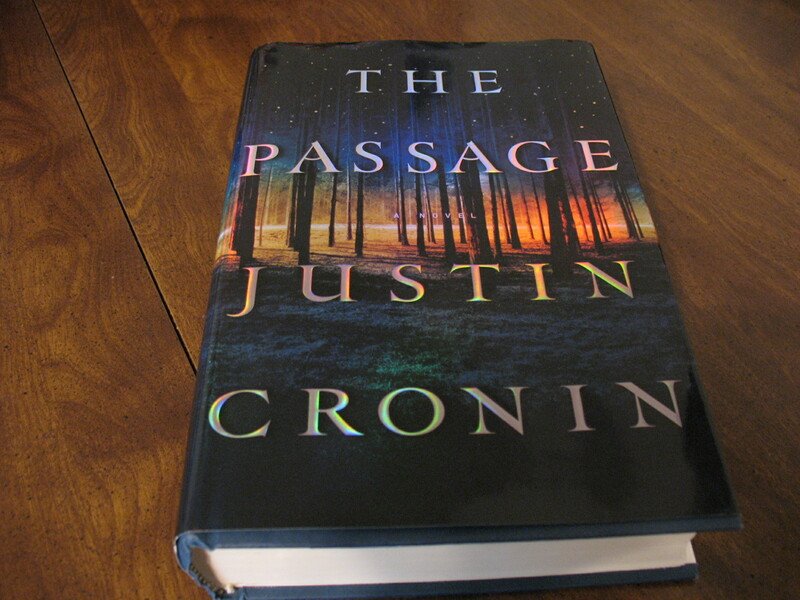 If I hadn’t bought The Passage, I probably would not have finished it. I had read reviews that said the first hundred pages were the best part of the book. So I was dismayed to find myself bored with this section. I was bored by the foreshadowing which was laid on too thick for my taste. I was bored by the ‘specialness’ of Amy, which manifests in displays of prescient knowledge and cryptic statements, before she’s even been infected. Her ‘specialness’ makes what happens to her less interesting than if she’d been a regular person from the start. 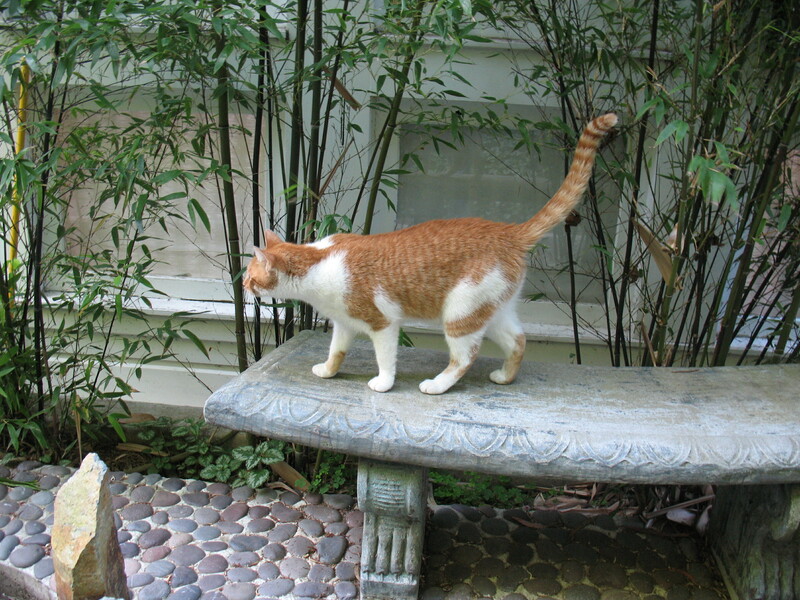 A similar character is River Tam from the TV show “Firefly”. River is also a young girl turned government experiment. What connects River Tam to me as a viewer is the show’s humor and more importantly, her brother, who brings out the ‘normal’ in her. The Passage‘s Amy has that kind of relationship for a small portion of the book, but it cannot quite erase her overall aloof impression. Despite this unpromising start, I persevered. My subsequent reading experience was a constant vacillation between engagement and impatience. I would put it down for weeks and pick it up for a few days. I started the book in April and finished it today. The real main character of The Passage is Peter Jaxon, a man with natural leader talents in the California colony. He’s likable and easy to root for, although some of his character conflicts could be cliche (it’s easy to guess what his mother’s last words really meant.) Definitely it was this character that helped keep me engaged in the book. Unfortunately, Cronin rotates the perspective of the book too much; a few characters get a token passage of their own just before they die. This constant shift of perspective was exhausting. The book settles down a little when it focuses on a small group of the characters as they set out on a dangerous journey east. I was most engaged then. The Passage could often be like reading an action movie. I’m especially thinking of a part involving a Jeep speeding next to a train. Sometimes I felt that the story would work better in a visual medium, so if a film adaptation does come out, I’d probably rent it to see if I’m right. A frigid wind was blowing through the trees, a ghostly moaning. A rind of moon had ascended, bathing the scene in a trembling light, making the shadows lurch and sway around him. They ascended a ridge and descended another. The snow was deep here, blown into drifts with a hard carapace of crust. When I finally finished the book today, my dominant feeling was, “Hooray it’s over.” At the same time, as the book leaves on a definite cliff-hanger, I had to admit to myself that I was just enough invested in the story that I will probably read the sequel. I won’t buy it, but I’ll read a library copy.